Beautiful Villa, with Vaulted Ceilings, Kitchen has Granite Counter Tops, Stainless Steel Appliances, Refrigerator can stay, Upgraded Cabinets, and Wood Flooring in the Kitchen. Neutral Paint colors throughout the Villa, 6 Panel Doors, Updated Light fixtures, Main Floor Laundry, Full Basement with Rough-In for Full Bath and also has connections for Laundry if prefer to have Washer and Dryer in the Lower Level. Enjoy outside with the concrete Patio. Location provides access to HWY 270, HWY 370, HWY 70, etc. Not a thru Street. 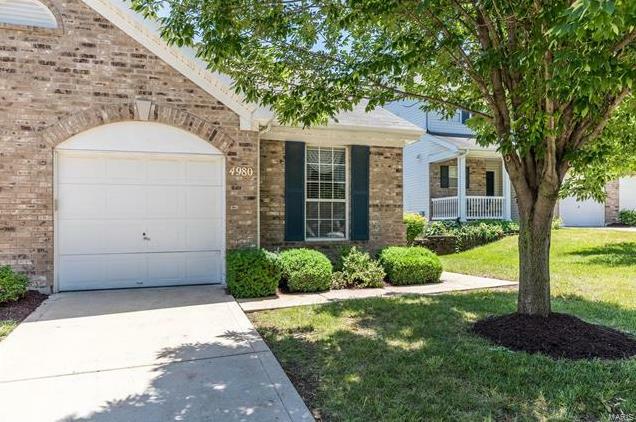 4980 Hurstborough Court (MLS #18047681) is a 1 story condo/villa located in Hazelwood, MO. This condo/villa is 1,017 sqft and on a lot of 5,227 sqft (or 0.12 acres) with 2 bedrooms, 1 baths and is 13 years old. This property was listed on 06/18/2018 and has been priced for sale at $110,000. Nearby zip codes are 63031, 63043, 63044, 63074 and 63134. This property neighbors other cities such as Bridgeton, Florissant, Maryland Heights, St Ann and St Louis.